When it comes to selecting the best gift for a loved one, tea finds its way into the celebrated choice. 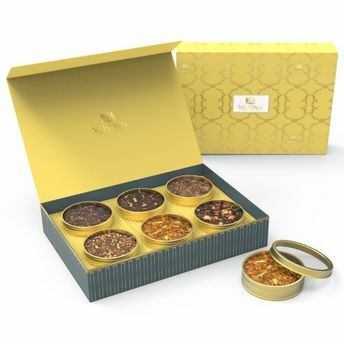 The six incredible blended teas in this Glow Assorted Teas Gift Box collection are the balance of health benefits and deliciousness. These teas are not just designed for detoxification and weight loss, they are also the best-selling flavoured teas around the world. An ideal gift for someone who means the world to you!